The NFL have just announced that there will be 4 regular season games to make up NFL London 2019. The announcement comes off the back of another successful NFL International Series with record attendances. The NFL have announced that there will be 2 games to be played at Wembley and 2 games to be played at the new Tottenham Hotspur Stadium. It was proposed that the Tottenham Stadium would be used in NFL London 2018 but the stadium was delayed in terms of completion. For NFL International Series 2019 the NFL has confirmed that we will see the Chicago Bears at the Oakland Raiders. This will take place on Sunday, October 6th at the new Tottenham Hotspur Stadium with kick off being at 1800 BST. In the second London game, also at Tottenham, the Carolina Panthers are at the Tampa Bay Buccaneers on Sunday 13th October with kick off at 1430 BST. Next, the Cincinnati Bengals take on the Los Angeles Rams, this time at Wembley Stadium on Sunday, October 27th with a 1700 GMT kick off. And finally, at Wembley Stadium we have the Houston Texans at the Jacksonville Jaguars which will round things off on Sunday, November 3rd at 1400 GMT. These teams will make up 5 NFL International fixtures in 2019, 4 of which will be played at NFL London, the fifth to be played in Mexico. To buy NFL London tickets 2019 please check back for more information as to when they will be released. 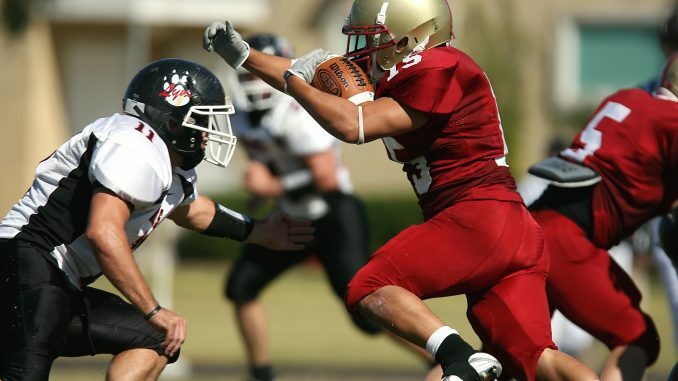 Between 2015 and 2016 tickets for NFL London usually went on sale in December, however tickets for NFL London 2018 went on sale little later in January of 2018. 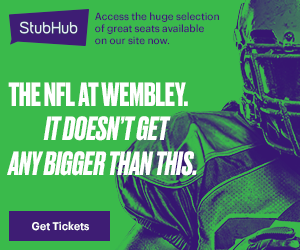 NFL London tickets 2019 will go onsale via Ticketmaster, usually as a season pack (all games) and then go on sale as single tickets thereafter. They sell out very quickly and once this happens they are only available legitimately through resale sites and we recommend StubHub for the best experience. The dates for the NFL London fixtures detailed above are still set to be announced by the NFL. Soon they will announce which NFL London games will be played at Wembley and which will be played at Tottenham’s stadium. We look forward to giving you all the up to date information on NFL London tickets for 2019 as and when it becomes available. Until then enjoy the start to the 2018/2019 season, the play-offs and the Superbowl.